And so it ends. The Personal Injury Law round-up now appears to be dead. Again. Doing round-ups makes you a better blogger, since you read the posts of others with a far more critical eye. It’s an excellent way to learn good blogging technique. The Personal Injury Round-Up that I have been doing is now kaput. It was fun while it lasted, but very time consuming to do on a regular basis…I hope to spend more time on individual stories and, hopefully, occasionally write stories that are not yet in the press. …the Round-Up has taken on a life of its own. Even with the help of a law clerk, I spent most of my blogging time looking for Round-Up stories at the expense of the more in-depth posts that I previously enjoyed. So after much thought, I’m not going to return to the Round-Up. I have really enjoyed the Round-Up, but I think it’s time to move on. Updated! And just like that, new life is breathed into the almost-still body of the round-up by TortsProf Bill Childs and his merry band of professorial bloggers! Click here for the official audio annoucement. Blawg Review #144 is up at Cyberlaw Central by Kevin Thompson with its Lord of the Rings theme. 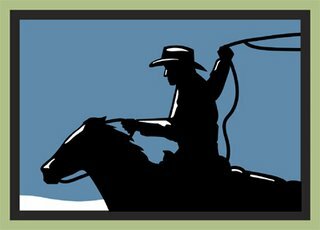 And Personal Injury Law Round-Up #47 has been posted by Brooks Schuelke. I’m back from a short vacation and I find once again how quickly blog postings can fill up an RSS reader and how many emails can accumulate. Thankfully, Brooks Schuelke has a round-up of personal injury posts to get me started with the blogs. It’s times like this when round-ups of all sorts are invaluable for keeping up. Brooks Schuelke is still going strong with the round-ups, showing no sign of slowing down. Personal Injury Law Round-Up #45 is up and running at his blog. Despite being knee-deep in trial, Brooks Schuelke comes through with another edition of the Personal Injury Law Round-Up. Now that’s dedication.